Over the centuries, sapphires have been linked with protection, healing, harmony, and wealth. They come in many colors, but blue has always been the most desirable. 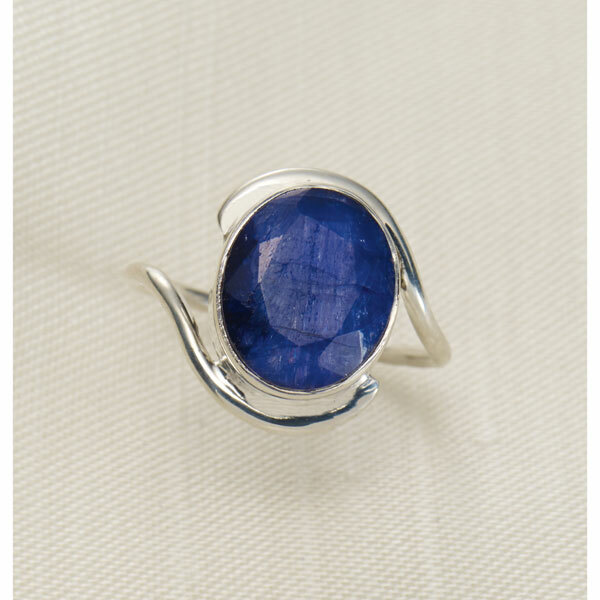 Large genuine sapphires are rough-cut and handset in sterling silver bezels. Ring is 1"; whole sizes 6-10. For help determining size, see order form. ½" wide earrings hang 1 1/8".